Combine spinach, frozen berries, and water in a blender. Once blended add in acai. 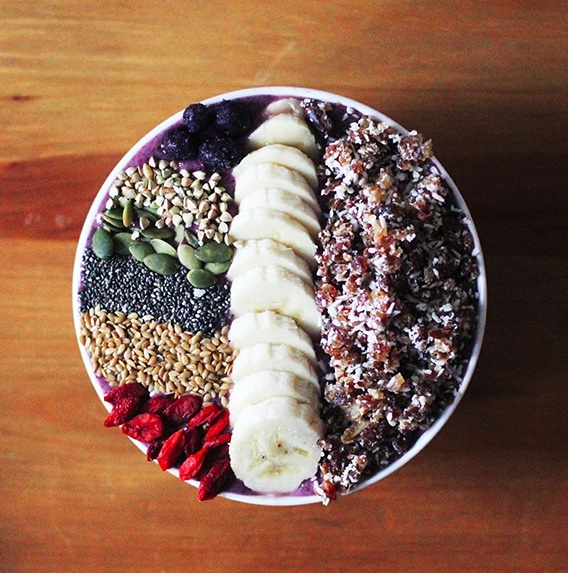 Pour into a bowl and top with granola, coconut, chia seeds, and honey. Cut up banana and blueberries and add on top of the bowl.